Scroll to the bottom of the document to the “Release Recommendations” section. Go to the Extreme eSupport download portal. 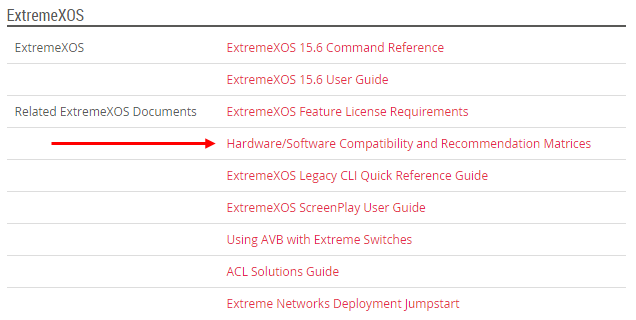 At the time of this post the latest EXOS is version 15.6.1. 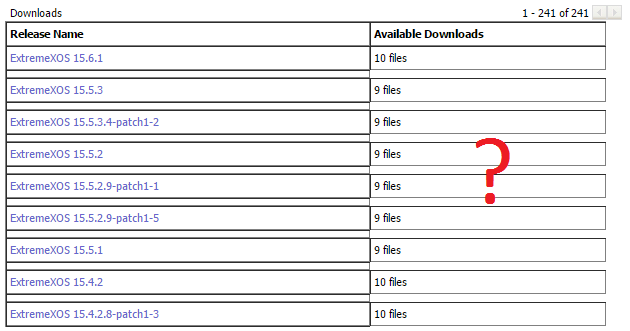 The compatibility matrix document recommends 15.5.2.9-patch1-5 which is actually the latest version available for download. However, the next release within the same code line (for example 15.5.2.9-patch1-9) is usually released before the compatibility matrix is updated.